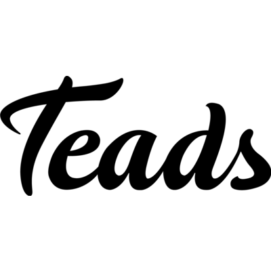 Teads, the global media platform, announced on Thursday (11 April) an exclusive UK and EEA partnership with Guardian News & Media (GNM) to deliver inRead advertising technology. Teads’ global media platform will enable GNM to scale its online inRead inventory, whilst increasing video and display ad monetisation through both its direct sales team as well as Teads demand. Initially, this will cover browsers on mobile and desktop, before extending to in-app later in 2019. Teads’ leading technology delivers a best-in-class experience to both readers and publishers. By creating engaging ad formats that do not interrupt the consumption of content, Teads is able to help build sustainable revenue models for publishers without sacrificing user experience. The latest news from Teads follows several new partnerships announced in 2018, including the BBC, The Economist, and VICE Media. These publishers have all joined Teads’ platform that now reaches over 1.5 billion people across the globe every month and 44.2 million in the UK alone. For brands and advertisers, it means Teads facilitates access to quality, brand-safe environments with some of the most respected media brands. This huge, brand-safe reach has been built by Teads’ continued innovation in video and display advertising – offering advertisers and publishers cutting-edge creative technology at scale, driven by innovation like Teads Studio for creative, and machine learning that drives real business outcomes. Teads, The Global Media Platform, unites and empowers the best publishers in the world to connect advertisers to an audience of over 1.5 billion people every month. Teads’ made-for-mobile ad experiences deliver attention and guaranteed outcomes across the marketing funnel. Through its end-to-end platform, Teads provides demand-side, sell-side and creative technology to deliver better media effectiveness for brands, better monetisation solutions for publishers, and better experiences for consumers.